If’ you’re in D.C. for a prolonged visit, why not take a detour out of the city and visit the battlefield of Antietam? While your team at American Guest House, a D.C. bed and breakfast, loves everything D.C.- related, a day trip to Sharpsburg, the site of the Batlle of Antietam, can get you away from the bustle of the city. Undoubtedly, D.C. has so much history to offer, but sometimes people forget that important historic sites can be found in the surrounding areas as well. In September 1862, General Robert E. Lee’s army decided to move north into Maryland from Virginia. After a decisive victory at the Second Battle of Bull Run, Lee and his army were confident that they could successfully ambush the Union army on its own territory. Many important Confederate leaders, including Jefferson Davis, believed that a Confederate victory on Union soil would convince foreign powers to ally with the Confederacy. However, on September 13, Union Corporal Barton W. Mitchell and First Sergeant John M. Bloss found three cigars bundled together by a piece of paper in a field that the Confederate Army had just vacated. Incredibly, this paper – known as Special Order 191 – detailed General Lee’s tactical plan to invade and occupy three towns. Upon the document’s discovery, it was passed along to Major General George B. McClellan. Special Order 191 revealed that Lee had divided his army to be regrouped later. Given this information, a Union victory should have been inevitable. After all, the Union Army now knew that Lee’s Army had moved to Harper’s Ferry and Sharpsburg. Yet, McClellan made several blunders. First, he waited 18 hours before acting on the intelligence from Special Order 191. Second, he only committed 3/4 of his army to ambush Lee’s troops. 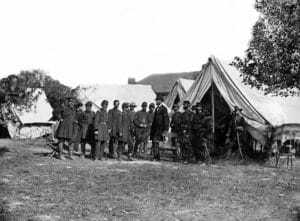 As a result, Lee’s army was able to fight McClellan’s men to a standstill. Third, McClellan failed to communicate the overall battle strategy to his units. Instead, he only gave each corps directives as to their individual movements. Thus, Union fighting was poorly coordinated, the battle took place in three smaller locations – at the Cornfield, in Bloody Lane, and on Burnside’s Bridge. No one could have predicted the impact of the Batlle of Antietam. What could have been a quick and decisive victory for the Union Army became a disaster. Instead, the Union and Confederates armies suffered over a combined 13,000 fatalities on September 17, 1862. Notably, over six Major Generals and Brigadier Generals lost their lives as a result of the Battle. While Lee’s army Not only was the Battle of Antietam one of the bloodiest battles in the American Civil War, but it also marks the most deadly day in American military history. While the Confederate Army withdrew from the battlefield first, the battle ended only in a strategic, not tactical, victory. Additionally, the battle had several critical political implications. Five days after the conclusion of the battle, President Abraham Lincoln declared the Emancipation Proclamation. According to the proclamation, southern states had until January 1, 1863, to capitulate to the Union or lose their enslaved property. As a result of the Confederate Army’s failure and the declaration of the Emancipation Proclamation, any Confederate hopes of allying with European powers were dashed. Lastly, as a result of McClellan’s cautious missteps, he was dismissed in November 1862. Critically, the battle marked an end to the possibility of a successful Confederate invasion of Union territories. After the battle, the armies attempted to identify and bury the dead. However, they only successfully identified 40% of the dead. Many of the unidentified deceased rest at the adjacent Antietam National Cemetery. In 1890, the War Department began to conserve the battle site, calling it the Antietam National Battlefield Site. In 1966, the United States government decided to add Antietam Battle Site to the National Register of Historic Places. As a result of the battle, Clara Barton founded the American Red Cross. 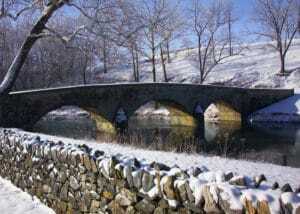 Visitors should plan to spend all day at Antietam, taking in Bloody Lane, Dunker Church, and Burnside’s Bridge. We also recommend that guests visit Dunker Church, the Pry House Field Hospital, and the National Cemetery at the site. Visitors can begin their visit at the Antietam National Battlefield VIsitor’s Center. Antietam is open daily (except for on Thanksgiving, Christmas and New Year’s Day). Hours of operation are between 9:00 – 5:30 PM. The entrance fee is $7.00 per individual and $15.00 per car. There is no need to book ahead of time, as guests purchase tickets on site. 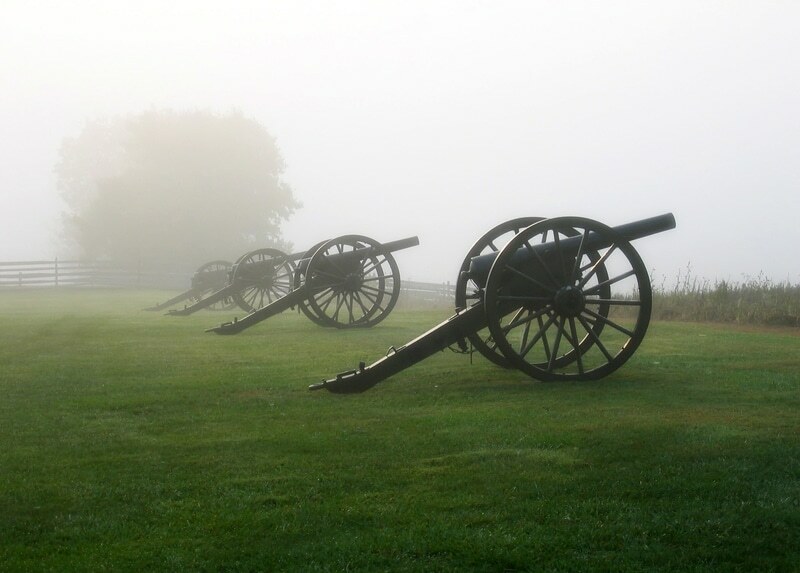 To get to Antietam, we recommend that guests rent a car for the day. While there are many delicious restaurants in Sharpsburg, guests of American Guest House, a Washington, D.C. hotel, should fuel up with a scrumptious breakfast by Chef Justin. If guests need to leave early, don’t worry! 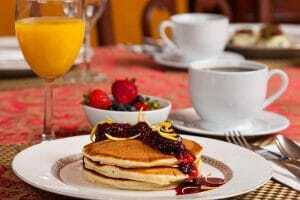 The innkeepers are happy to prepare a to-go breakfast for all of our guests. We know that D.C. in the summer can be crowded, so we encourage guests to book now! We hope to see you soon!